Ideal for schools and classrooms. Double acrylic primed, archival canvas panels are ideal for schools and classrooms. Medium texture canvas mounted on acid-free chip board. Sturdy panels are suitable for tempera, acrylic and oil paintings. Clean cut edges. 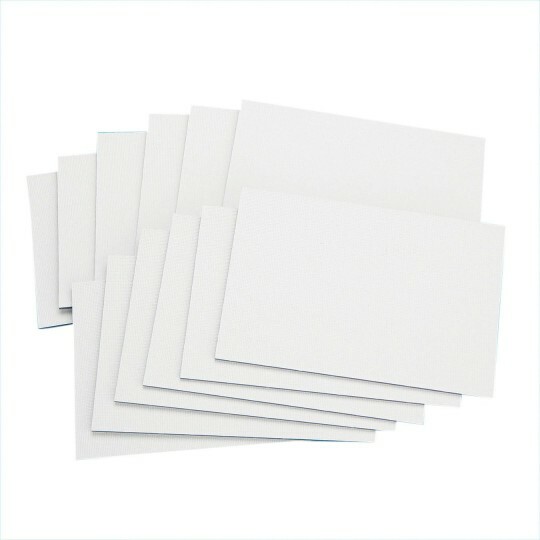 4" x 6" pack of 12.